There are literally hundreds of wood boring insects in this country, wood-beetle, wood-lice, wood-wasps, wood-worm and termites, just to name a few of the more commonly found examples. Anyone of these species can rapidly destroy the fabric of your home. Their appetites are voracious and insatiable and they just love roofing timbers, floorboards and joists. 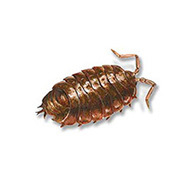 We have a huge range of treatments that will kill every living creepy-crawly in your home and an equally impressive range of products to stop them coming back.